Canada’s military veterans who endure disabling injuries were hoping for a Christmas present: a fulfilment of the Liberal campaign promise to “re-establish lifelong pensions as an option for injured veterans.” Instead, the government merely resurrected ghosts of Christmases past with a hodgepodge of benefits that amount to recycled, remodeled and repackaged programs that already exist. The proposed pension for life — which was promised as an alternative to the lump-sum payments introduced under the New Veterans Charter of 2006 — is a clear reduction of the lofty scheme that Prime Minister Justin Trudeau personally promised while he was campaigning. 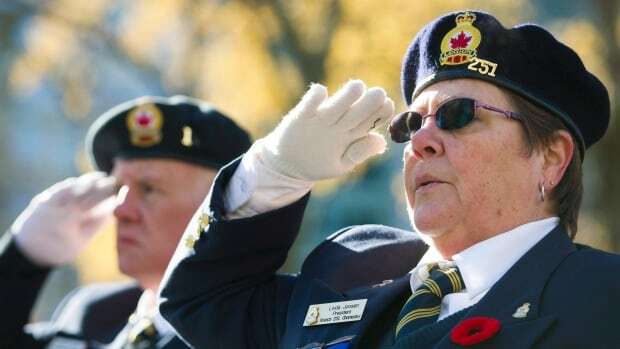 Instead of the Liberal commitment of offering lifelong pensions for veterans applying for disability assistance after 2006, veterans will have to wait until April 2019 to choose between the existing lump sum and a new lifelong pension that, when all is said and done, will pay far less than one half of the pre-2006 pension. Some background first. When Canadian Forces members suffer disabling military injuries and are released from the Forces, Veterans Affairs Canada is legally obligated to provide both pain and suffering non-taxable compensation, as well as taxable compensation for lost income. This is no different than court awards or most provincial workplace insurance programs. Historically, veterans just happen to be the first group of Canadians compensated for lifelong injuries. Canada has been paying lifelong pensions in some form to those suffering military injuries since the War of 1812. For over 200 years, military injures have been honoured with not only lifelong pensions for the disabled soldier, but also with additional amounts for spouses and children, which around 60,000 injured veterans continue to receive as part of their pre-2006 pensions. The April 2019 lifelong pension, however, does not offer any amounts for family members. It was the Liberals who introduced the legislation for the New Veterans Charter in 2005 that took away the lifelong pension for veterans. This was replaced with a one-time lump sum as part of a patchwork and rebranding of already existing programs. Since that time, the lump sum has come under fierce criticism. Since it also pays nothing extra for family members, the lump sum equates to what was paid out in as little as seven years under the pre-2006 lifelong pension. Other programs under the New Veterans Charter have been notoriously difficult to access. Widespread calls under the Conservatives to change these programs were met with bureaucratic intransigence and bizarre political indifference. This “pension for life” option fails to live up to the Trudeau promise on many levels. Like the lump sum, not only does the pension option not pay any additional amounts for family members, the average monthly payment is expected to be around $200. Compare that to the pre-2006 pension that pays up to $2733 monthly, with an average of $680, plus amounts for spouses and children. Admittedly, the minutiae of disability programs — especially those for veterans — tend to glaze over the most astute eyes. So, imagine how overwhelming these changes must be for already struggling disabled veterans, many of whom never completed high school. A great number of them had long been Conservative supporters, but disaffection with the New Veterans Charter led many to hope for great things under the Trudeau Liberals. Not only is it likely that veterans will be severely anxious due to the complexity of the new program and its nebulous criteria for benefits, but they might be rightfully distressed by the fact that government employees disabled in a flying accident, for example, and RCMP can continue to apply for the pre-2006 lifelong pension, but veterans, for whom the program was designed nearly a century ago, cannot. A promise is sacred for veterans. Veterans promised to put on a uniform to lose their lives for us if need be. We must fulfil our promises to repay that debt in real dollars, not with political platitudes, campaign chicanery and bureaucratic betrayal.